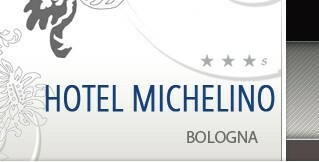 The Hotel Michelino Bologna Fiera is a new building, situated in Bologna, near the Fiera and the motorway exit of A14. From the A 14 motorway: take the exit Bologna Fiera-Centro and after about 300 metres turn left. The hotel lies on the left side of the street. From the Bologna ring road: take the exit n.8 and after about 100 metres turn right into Michelino street.